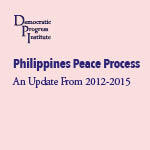 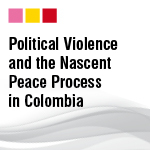 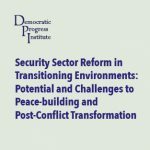 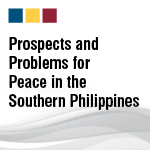 This paper focuses on one of the first and most important stages in peace-building and post-conflict transitional processes, namely Security Sector Reform. 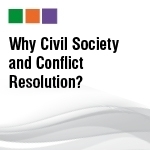 It does so by highlighting the importance of reshaping the security sector in order to build sustainable peace and development in the long-term, as well as stressing the need for a proper implementation of these processes to promote grassroots reconciliation and capacity building. 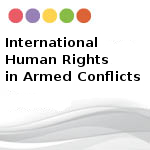 Our most recent factsheet on ‘Conflict Related Gender Based Rights’ which we have published to coincide with the upcoming , 15 year, anniversary of UN Security Council Resolution 1325 on women, peace and security (31 October 2015). 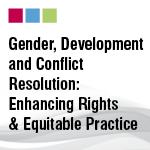 The factsheet outlines what gender based rights are, how they are relevant to conflict and why there is an imperative need to implement existing rights as well as formulate new ones. 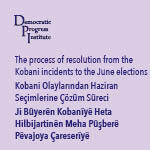 We hope the factsheet serves as a refresher of the law on this area and encourages further research and investigation. 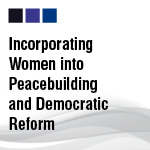 Women are crucial stakeholders in peacebuilding and democratic reform and yet they are too often sidelined because of entrenched gender biases that continues to uphold gendered socio-cultural inequalities. 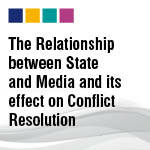 This is despite the united nations security council resolution 1325 which was passed unanimously in the year 2000. 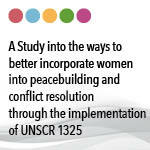 As a result, this working paper examines the role resolution 1325 has had in peacebuilding as well as women’s past exclusion from peacebuilding processes in various countries. 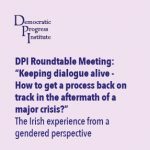 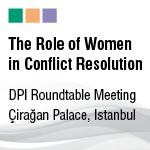 It further posits some methods available to states to ensure women’s effective and adequate participation within negotiations and constitution drafting, as it is important to work towards women’s increased topical representation within constitutions, parliamentary politics, and within all levels of state. 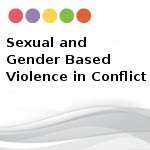 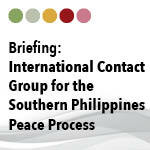 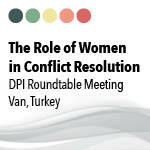 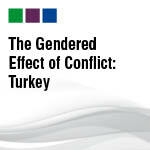 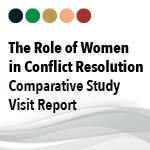 This brief aims to answer key questions relating to sexual and gender based violence in conflict. 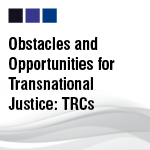 It also examines key international legal instruments available in this area, and explores mechanisms for their implementation. 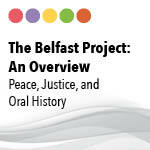 This report provides an overview of the Belfast Project, an oral history project conducted by researchers at Boston College with former combatants from the Northern Ireland Conflict. 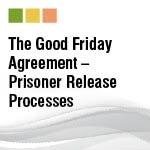 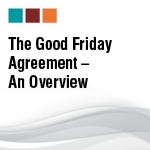 It discusses the implications that this project has had for peace and justice in Northern Ireland and for similar oral history research elsewhere. 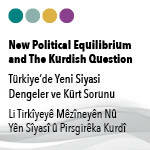 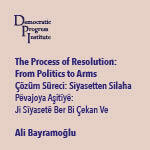 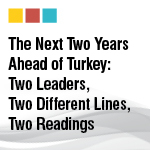 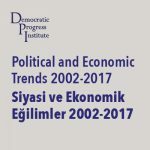 This assessment by Ali Bayramoğlu outlines the author’s perspectives on the evolution of the solution process in Turkey over recent years and evaluates the current challenges faced in relation to the resolution of the Kurdish conflict. 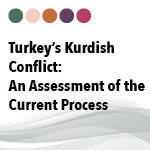 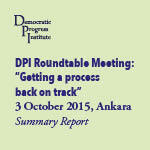 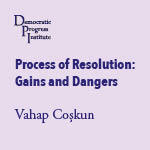 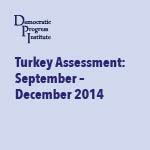 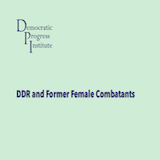 This assessment is part of DPI’s continuous evaluation of the situation in Turkey in relation to the Kurdish resolution. 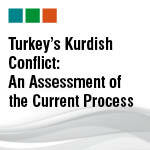 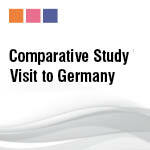 It forms part of a series of assessments on this topic, undertaken by various experts, both nationally and internationally. 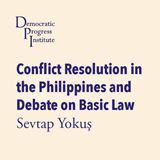 Democracy plays a crucial role in post-conflict societies and most societies emerging from conflict adopt some form of democratic government. 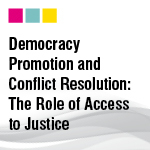 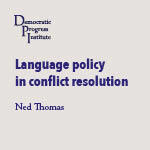 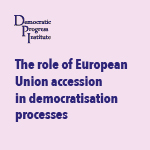 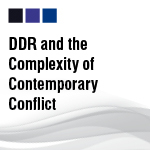 This paper demonstrates that even though differences in societies and patterns of conflict pose complex challenges for the post-conflict reconstruction,democratic governance can lead to long-term reconciliation of parties in conflict by transferring the fight to the halls of politics. 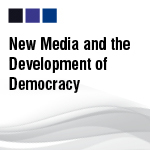 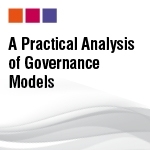 This paper considers three case studies and the different political structures that Bolivia, South Africa and Sri Lanka have in place, in order to provide examples of both positive and less effective methods of ensuring political representation. 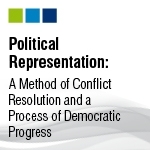 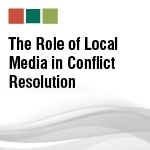 In doing so, this paper aims to demonstrate the way in which greater political representation can lead to a successful resolution of conflict and/or help to assist democratic progress more generally. 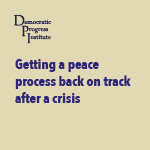 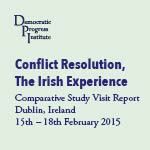 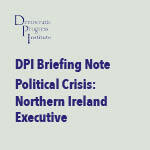 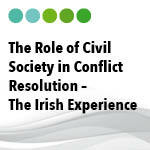 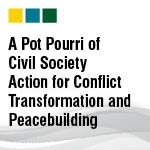 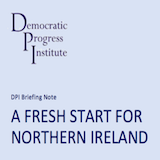 This paper by DPI Council of Experts Member and a Founder of the Northern Ireland Women’s Coalition, Avila Kilmurray, presents the ways in which Civil Society interventions can promote peace-building and conflict transformation, drawing on the experience of Northern Ireland. 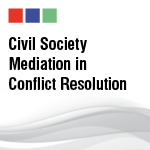 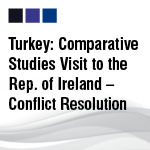 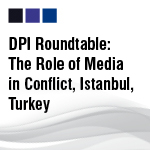 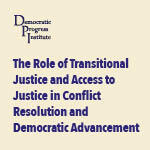 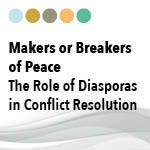 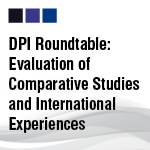 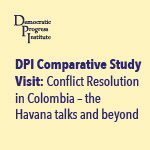 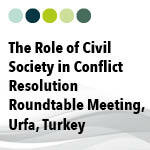 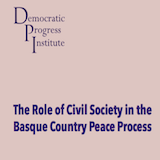 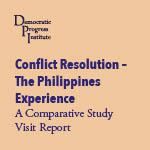 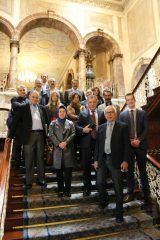 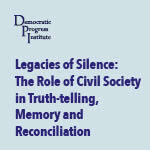 This paper was presented during DPI’s roundtable on the Role of Civil Society in Conflict Resolution, which took place in Istanbul in April 2013, and during which Avila Kilmurray was a speaker. 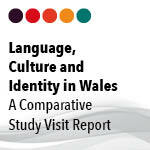 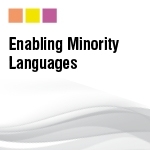 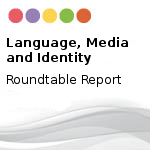 This paper argues that the placing of minority languages within a comparative framework and a wider context of cultural diversity has become more relevant within a globalising economy, and that the earlier European experience deserves revisiting and may call for some rethinking by majorities and minorities of the way they think of each other. 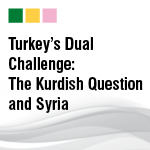 This paper considers two major issues currently faced by Turkey: that of the Kurdish Question and that of the Syrian predicament. 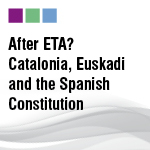 Questions of constitution building and constitutional reform are of paramount importance, particularly when the constitution making process arises in the aftermath of violent conflict or as a transitional arrangement in post-conflict societies. 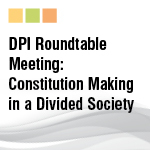 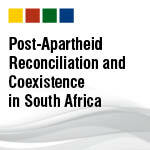 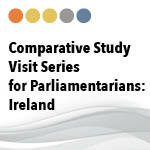 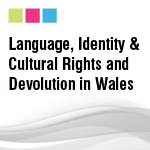 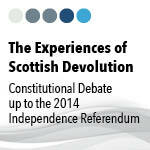 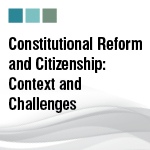 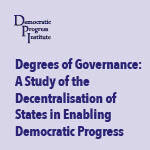 This paper aims to examine the nature of constitution building and constitutional reform.